The British government’s White Paper has been portrayed as an important step towards avoiding a ‘hard’ border in Ireland. However, as Jan van Zyl Smit writes, sustaining the rule of law in the Irish border region will depend on institutional co-operation. 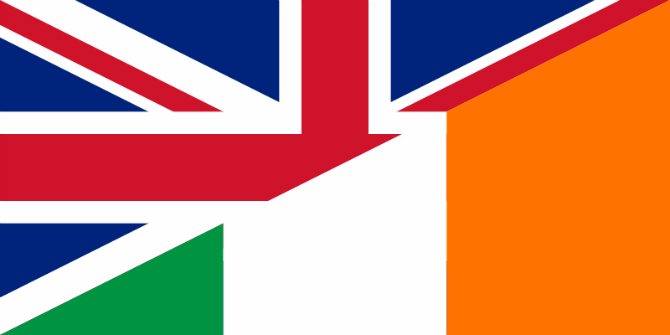 By proposing a free trade area in goods with the EU, the UK Government White Paper published on Thursday 12 July 2018 has taken an important step towards avoiding a ‘hard’ border in Ireland. Free movement of people (for UK and Irish citizens, at least) is already guaranteed by the Common Travel Area that predates both countries’ EU membership. With these two pieces of the puzzle in place, a casual observer might think that the Government has produced a solution to Brexit’s Irish border problem without bringing into play the backstop – agreed with the EU but still highly contentious within the Conservative Party and for its DUP allies – of Northern Ireland’s ‘regulatory alignment’ with the EU. If only it were that simple. The Irish border problem can be framed in many ways. Using the language of a ‘hard’ or ‘soft’ border is obviously simplistic. It also tends to focus attention only on what happens at the frontier itself – as seen in the White Paper, which promises to avoid checks on goods at the border but not elsewhere. A more meaningful question may be: what needs to be done for the Irish border region to enjoy the full benefits of the Rule of Law? It is worth asking because Rule of Law principles – including legal certainty, equality, access to justice, adherence to fair procedures and respect for human rights – are valuable to individuals and businesses in ways that are increasingly well understood and have been articulated in detailed, practical terms at both the European and UN level. Thinking about the Rule of Law in a border region requires going beyond the traditional focus on what citizens can expect from the institutions of their own state. In truth, the Rule of Law must be broader than that, as the development of a durable Rule of Law culture depends on individuals and private sector corporations as well as public bodies recognising the relevance of Rule of Law principles to their activities. It certainly makes sense to ask about the Rule of Law in the specific context of the Irish border region. Not only is the border itself remarkably porous, with more crossings than the entire Eastern frontier of the EU and estimates of up to 30,000 daily commuters, and but it has also, as the 1921 line of partition, created a flashpoint for violence arising out of the Northern Ireland conflict, which the UK and EU have strenuously undertaken to avoid reigniting through Brexit. The Bingham Centre for the Rule of Law, where I am a research fellow, joined forces last month with the leading human rights law firm Bindmans LLP to organise a panel discussion on Brexit and the Irish Border: What are the Rule of Law Implications? Our panel of four experts offered a range of suggestions on how to promote the Rule of Law in the context of the Irish border. Professor Henrik Wenander of Lund University shared his analysis on Sweden’s border with Norway, which is outside both the EU and its customs union, although it is a member of the EEA. Sweden and Norway came close to war in 1905, when Norway broke away from the Swedish monarchy. Since then a culture of close co-operation has developed at all levels, from ministerial dialogue fostered by common membership of the Nordic Council to routine cross-border contacts between local civil servants. An illustration of this is the multi-national social security web portal, which is particularly relevant to the ca. 25,000 cross-border commuters. Professor Wenander noted that Norway and Sweden’s common EEA membership means that certain disputes can be referred to the EFTA court, which provides an important Rule of Law guarantee at the international level. However, much of the detail of the agreed arrangements between Sweden and Norway, or those between other countries of the Nordic Council, is contained only in national legislation and enforceable in the local courts of each country. In the absence of a Nordic Court, institutional co-operation underpins the Rule of Law for individuals or businesses with cross-border interests. The Nordic Council would appear to be much more active in facilitating co-operation between countries than the British-Irish Council, whose members are the UK, Ireland and the Crown Dependencies. Another member of our Rule of Law panel, Professor Janice Morphet, of Bartlett School of Planning at UCL and author of Beyond Brexit, argued that the UK Government should have made greater use of the British-Irish Council to work through the challenges of Brexit for cross-border relations. Austen Morgan, a barrister at 33 Bedford Row and one of the authors of the Legatum Institute report ‘Mutual Interest: How the UK and EU can resolve the Irish border issue after Brexit’, argued that many forms of existing co-operation across the Irish border need not be disrupted by Brexit. Morgan mentioned the long history of intelligence sharing between police forces to combat trans-border organised crime. In the context of the 1998 Good Friday Agreement, he argued that of the six cross-border bodies established only the Special EU Programmes Body would automatically cease with the UK’s departure from the EU. Caoilfhionn Gallagher QC, a barrister at Doughty Street Chambers, maintained that common EU membership had been vital to the conclusion Good Friday Agreement, not only at the level of relations between the UK and Irish governments but also for Northern Irish parties to the Agreement who had been on opposite sides of the conflict and indeed for people and institutions operating under it. In practice, EU law has given people in border communities more effective ways of enforcing their legal rights, for example when a social security body recognised the right of a low paid worker to use childcare provision in the Republic claim UK and working tax credit. Ms Gallagher also referred to her report, co-authored with Katie O’Byrne, on legal possibilities for securing a special EU status for Northern Ireland, which draws on the EU’s history of customising arrangements that would enable EU law to apply only to parts of a national territory (Cyprus and Greenland are among the analogous cases). Returning to the White Paper of 12 July, we find some mention of cross-border issues in Ireland going beyond the passage of people and goods. For example, the Government expresses its intention to maintain the Single Electricity Market and the All Ireland Animal Health and Welfare Strategy. Other areas of proposed co-operation include cross-border TV broadcasting rights and, in the area of policing, the maintenance of something close to the European Arrest Warrant. Such policy proposals are clearly designed to minimise the disruptive effects that Brexit may cause. Yet it is difficult to predict their impact on the Rule of Law in the Irish border region. If our panellists are right, then we will have to see whether the forms of institutional co-operation that nurture the Rule of Law in a cross-border setting can take root in the context of momentous changes in the overall UK-EU relationship that are still being negotiated. Jan van Zyl Smit is Associate Senior Research Fellow at the Bingham Centre for the Rule of Law.